SOFIA – Bulgaria will soon join the EU Fiscal Pact, but will chose to opt out of the agreement if it is forced to harmonize national taxes with other countries of the European Union. 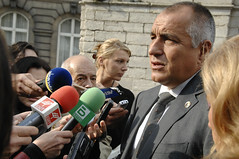 Hours prior to the start of the European Council Summit in Brussels on March 1st, the Prime Minister of Bulgaria Boyko Borisov stated that, in the foreseeable future Bulgaria will maintain its tax rates at their present level, which, for a number of years, has continued to be the lowest income tax rate amongst the countries of the European Union. Bulgaria will be one of the 25 countries to sign today, March 2nd, in Brussels the European Treaty on Stability, Coordination and Governance in the Economic and Monetary Union (EU Fiscal Pact), an international agreement aimed at encouraging member states to follow greater budgetary discipline, to increase economic stability in the Eurozone, and to improve the international coordination of economic policies implemented in the European Union. Commenting on the topic of taxation in relation to the Pact, the Prime Minister of Bulgaria said that national tax policies are the priority of each member state in the agreement, and Bulgaria would not be harmonizing its taxes with other EU countries as a result of joining the Pact. On February 29th the Cabinet of Bulgaria gave final approval for the country joining the Pact, but included several opt-out conditions, and Bulgaria will not harmonize its own tax rates with other countries in the Eurozone, and will leave the Pact if the question of its national tax rates is raised. Bulgaria’s low tax rate and its membership to the EU are some of the strongest advantages of the national economy in recent years, and has led to significant numbers of international companies migrating to Bulgaria, and to a vast increase in interest by international investors in Bulgarian properties.